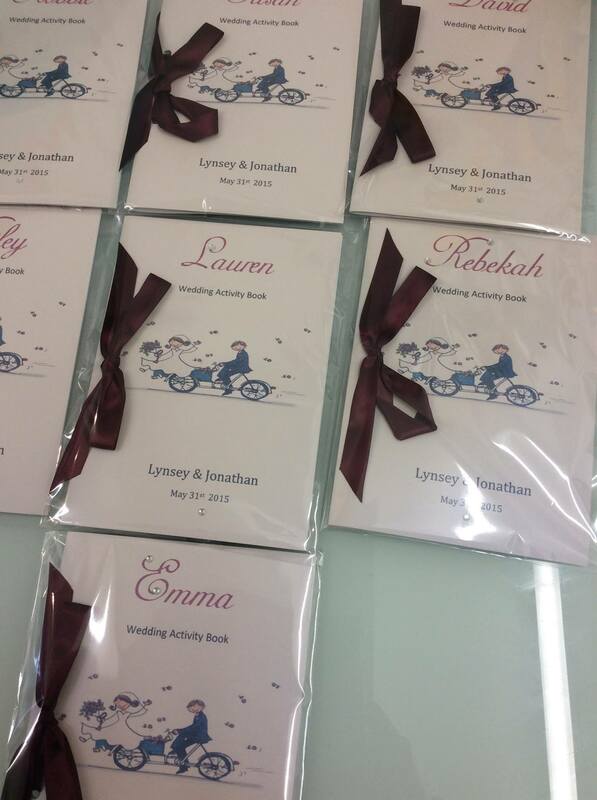 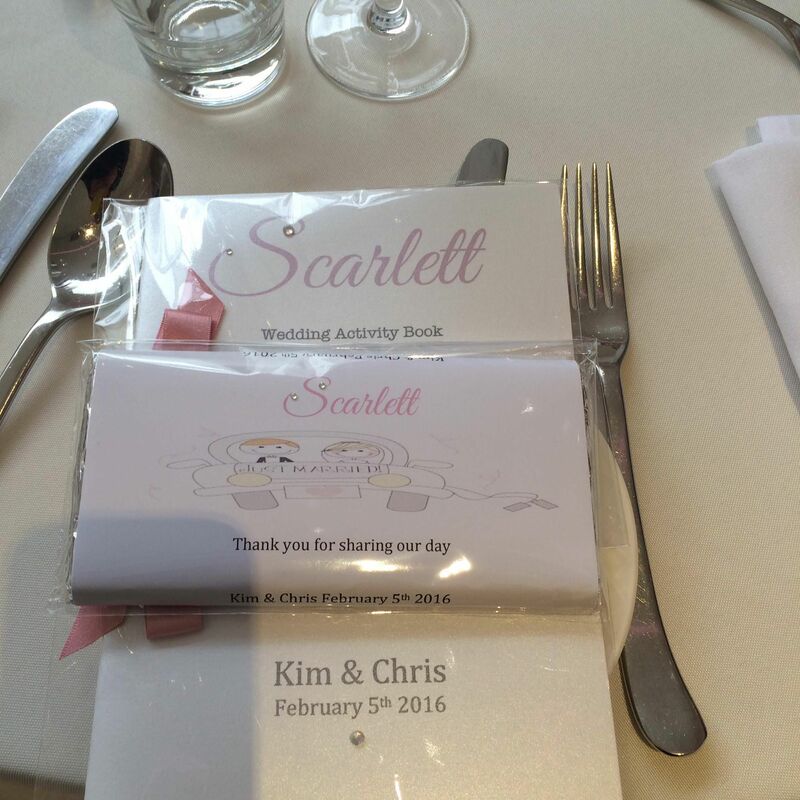 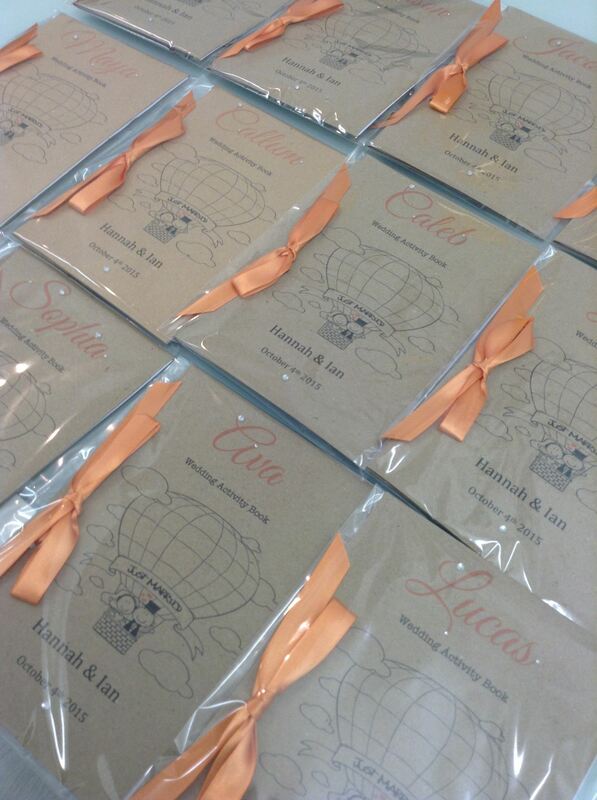 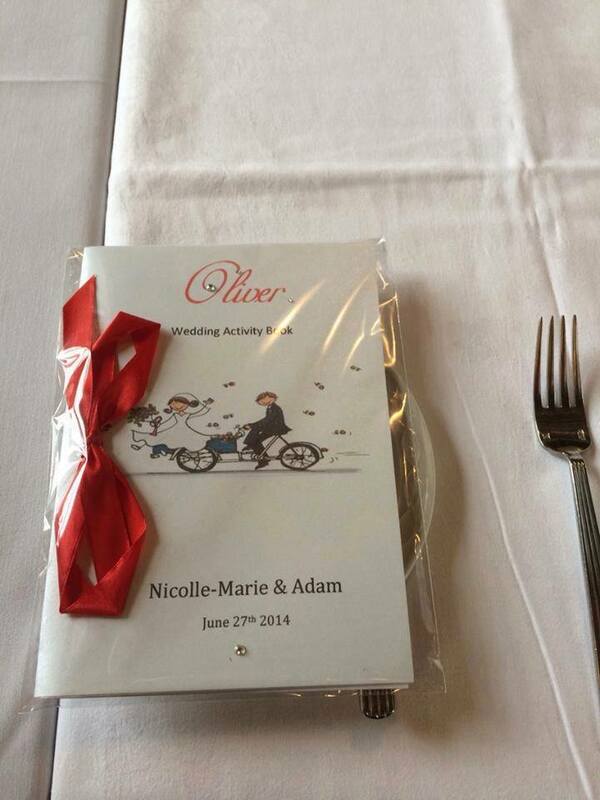 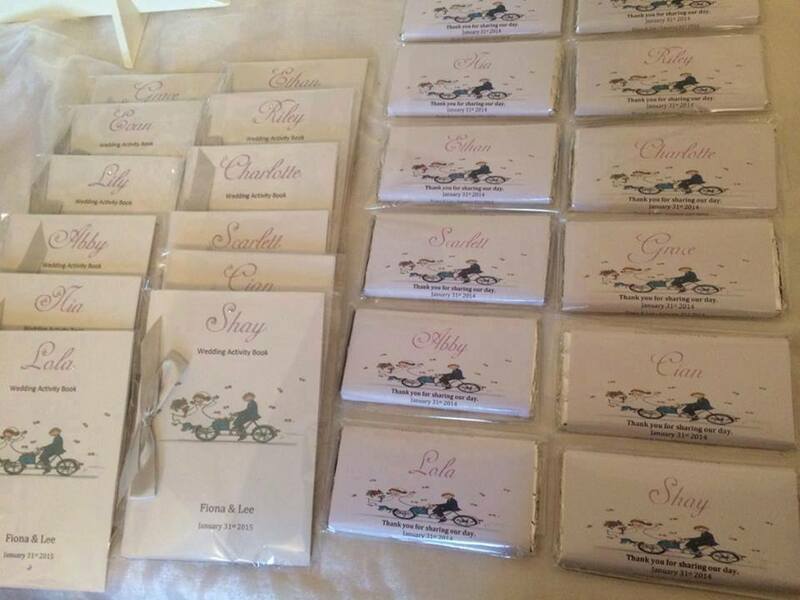 Our personalised guestbooks are ideal to keep the children amused. 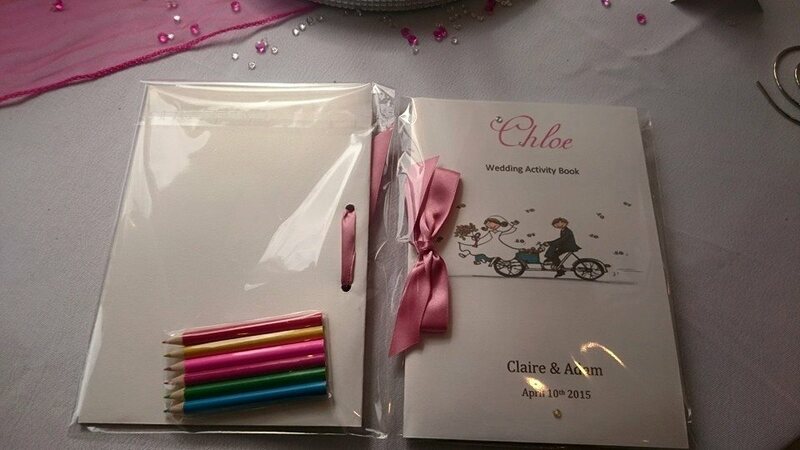 Fully personalised throughout the book, with your choice of colour ribbon and a pack of crayons, encased in a cello bag. 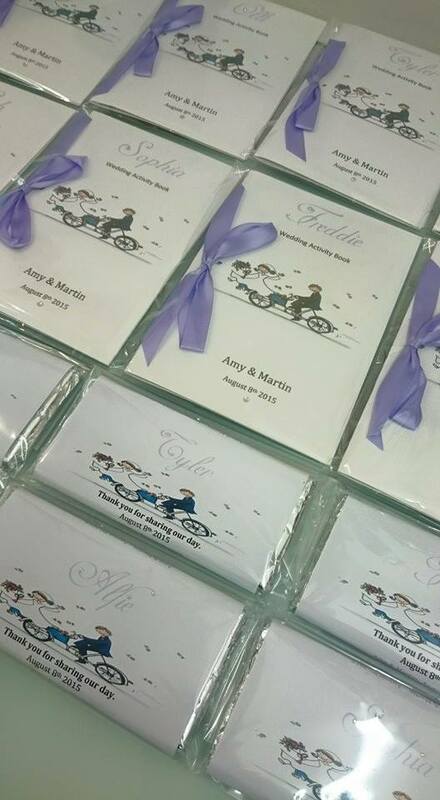 We offer a over 7 year old book and a under 7 year old book.